Your credit file contains information on all of your credit accounts submitted to the credit bureaus, including balances, limits, payment history, etc…, as well as identification information such as your name, address, age, social insurance number, marital status, spouse’s name and age, number of dependents, occupation, and employment history. 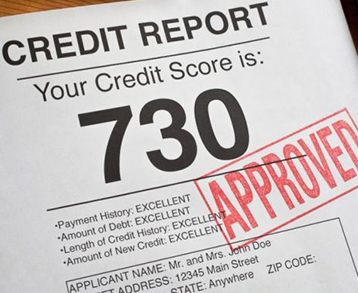 In Canada, credit scores range from 300 up to 900 points, which is the best score you can have. According to TransUnion, 650 is the magic middle number – a score above 650 will likely qualify you for a standard loan while a score under 650 will likely bring difficulty in receiving new credit. Credit scoring is used by lenders, insurers, landlords, employers, and utility companies to evaluate your credit behaviour and assess your creditworthiness. 1. Applying for a loan. Your credit score will be a big factor into the decision of whether you are approved or denied your application for more credit. Your credit score will also affect the interest rate and credit limit offered to you by the new credit grantor – the lower your credit score, the higher the interest rate will be and the lower the credit limit offered – the reason for this is you are considered more of a credit risk. 2. Applying for a job. A potential employer may ask your permission to check your credit file and based on what they read, they may decide not to hire you due to your poor credit history. Yes, having bad credit could cost you a job! 3. Renting a vehicle. When you sign an application to rent a car, the rental company can check your credit history to determine what their risk may be when they loan you their property. So although you are not applying for credit, the application documents you sign provide your written permission to access your credit information. 4. The same is true when applying for rental housing – the landlord may assess your tenant worthiness and their risk by factoring in your credit rating and score, and they could pass you over for someone with a better credit rating. Ok, so avoid maxing out your credit – because if you don’t really need more credit you’ll be able to get it, and if you do really need it then you are more of a risk. There are two types of Credit Bureau file inquires: “hard inquiries” such as an application for new credit, which will lower your score; and “soft inquiries” such as requesting your own credit report, and businesses checking your file for updates to your existing credit accounts for approving credit limit increases, for example – these will not appear on your file or lower your credit score. So be careful to only apply for credit you really need. Having a longer history on your credit accounts earns you more points, so avoid closing your accounts if you may need them in the future. A good credit history is built over time – sorry, but there is no quick fix for this one. Having a mix of credit products (credit card, retail store card, line of credit, car loan, etc…) will procure more points on your file than having only one type of credit, such as only credit cards. Having a lot credit accounts, especially if many of them carry balances, is another warning sign of financial distress, so if the Credit Bureaus think you have too many, they will deduct points. One of the major causes of point loss to your credit rating are bureau reporting errors. Errors can be delinquent accounts reporting on your file that do not belong to you, late payments that were not late, and credit that is created from identity fraud – therefore not your credit. The Credit Bureaus are paid by the creditors who pull credit bureau files and in turn who report to them. Credit reporting is done electronically, and Credit Bureaus accept the information they are sent without any investigation into the accuracy of the information. Therefore, is it critical that you pull your credit bureau file at least once a year. Only you will know when there is an error on your file, and it is up to you to have the credit bureaus fix it. If there is an error on your file you must contact the Credit Bureau, then it is up to the Bureau to investigate your complaint and to verify the information contained in your file by contacting the reporting creditor. When contacted by the Credit Bureau, the reporting creditor will have to verify the item they have placed on your file. You are entitled to be part of that process. Check your credit again 30-60 days after disputing errors. If any of the disputed inaccuracies remain, contact the creditor to further your dispute and determine if the item can be taken off your credit profile. As previously discussed, a large number of credit file requests within a short period due to moving will lower your credit score. But on top of that, the length of time at your current address will influence your score, so try not to move a lot as it will affect your credit rating. The longer you remain at one address, the more points you receive. The longer you stay at a job, the higher points your credit score receives. You are seen as having a secure job and therefore being a secure, less risky credit consumer. The Credit Bureaus assign certain points for those who have mortgages and those who rent, and deduct points for those whose housing situation is unknown to them. As soon as you pay off your mortgage, the reporting account is removed from your file and you are in the unknown category, which will actually remove points from your credit rating! Credit card and other credit account history will remain on your account even after being paid off and closed, but unfortunately a paid mortgage does not benefit your credit rating. Imagine, you own your own home and that does not benefit your credit rating – does that even make sense? Also, not all mortgages report to the Credit Bureaus. When you have high balances that are rotating between different credit accounts, this is a warning sign that you could be in financial trouble and therefore you could be considered a credit risk. Believe it or not, having no debt is also bad for your credit score! Here we go again – if you don’t need to borrow money creditors will be trying to throw it at you. If you do need to borrow money and have no debt or debt history well, you will have a harder time of it. If you do not have a history of credit use on your file to provide something for creditors to evaluate, they will see that as a risk, and you will be deducted points on your score for not having credit accounts. 1. Correct errors, and track your report for future errors. Order your credit file from each bureau at least once per year. 2. Lower your balances. If your debt levels are above 50% of your available limit, create a payment plan to reduce your balances. 3. The biggest “tip” to having a good credit rating and a high credit score is to continually use credit and to repay that credit on time all the time. Set up automatic payments to help with this. 4. If you have no credit history, or need to rebuild your credit, open a secured credit card account. You pay a deposit, which sets the limit of your card, then use it like a regular credit card. The secured credit card provider reports your payment habits to the credit bureau(s), so you will be able to gain points with an account in good standing. 5. Look over our list, read your credit report, and identify any areas that could be improved for a higher credit rating. Remember, “your credit rating is not a reflection of your personal worth – it is merely a credit reporting tool” – Margaret H. Johnson. The good news is your credit rating is like your self-esteem, sometimes in your life it will be high and sometimes it will be low – however, you can always rebuild it over time!